Here's the Jack O'Lantern sketch I didn't finish this week. Ah well. Took the two year old out for a Hallowe'en last night. "Let's go to the next spooky house!" The. Best. Time. Above sketch done on my iPad using Sketch Club. 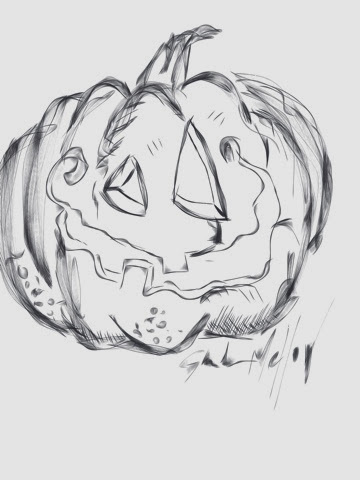 Written by Glendon Mellow On November 1, 2013 In "Halloween", "Sketch Club"